TASKFORCE® is manufactured by Vee Dri (Aust) Pty. Ltd and was approved for sale in Australia by the National Registration Authority (now the Australian Pesticides and Veterinary Medicines Authority) in July 2000. The active ingredient in TASKFORCE® is sodium 2,2,3,3 tetrafluoropropanate. TASKFORCE® is unique as it will selectively kill the above weed species without devastating many other desirable pasture species. TASKFORCE® is a systemic herbicide with low contact activity as it is mainly taken up by the roots where it is translocated to other parts of the plant. This process begins after a minimum of 5 mm of rain. The herbicide acts very slowly and the first signs of the weeds dying may take up to 3 months - just dependent on factors such as soil type, rainfall etc. A major benefit of this herbicide is its ability to keep killing germinating seedlings for 3-4 years after initial treatment. For more information please peruse this site or contact Bill Dobbie. 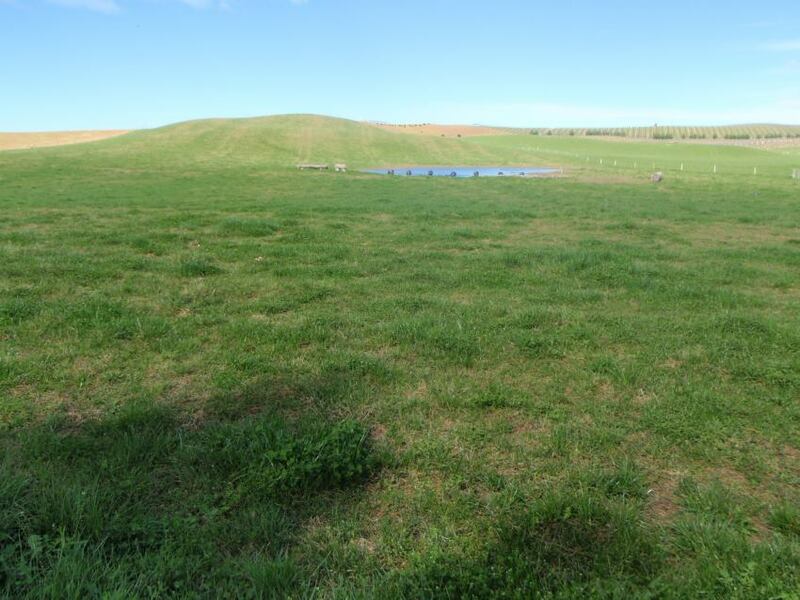 The above photo was taken on the 10th September 2012 of a paddock near Blenheim, New Zealand. The paddock was heavily infested with chilean needlegrass and sprayed at the rate of 3L/ha of Taskforce in early March. The CNG has browned out leaving the bare patches but clover and ryegrass is growing vigorously. A 100 per cent selective kill of the CNG has occurred. 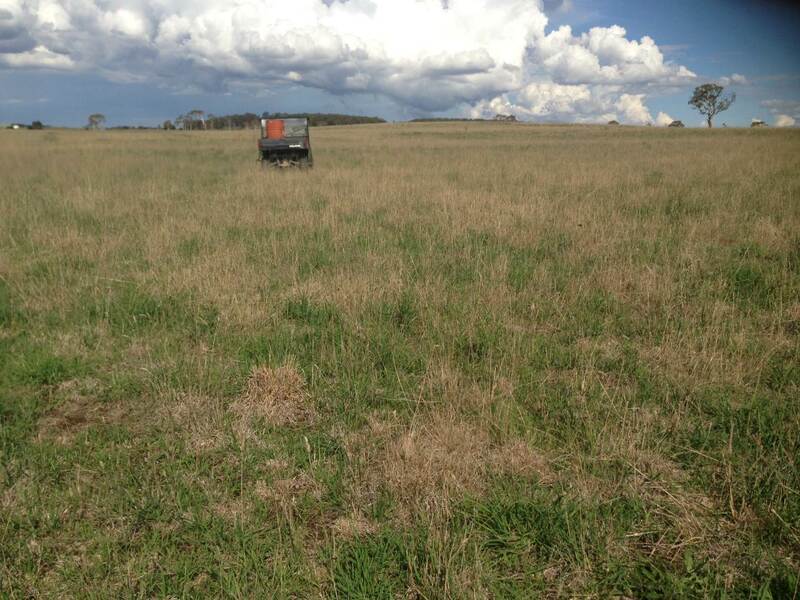 Photo taken in late Feb 2013 of a paddock in Bungonia, Australia after spraying with TASKFORCE in early Dec 2012 at the rate of 2L per hectare and a water volume of 80L per hectare. Note the CNG is dying but the cocksfoot, fescue etc is powering ahead. The paddock had a fairly extensive infestation of CNG but after good rain in Jan and Feb the selective nature of TASKFORCE is well illustrated. The rain has accelerated both the kill and the recovery of the grasses but this is not an uncommon result in areas where summer rainfall or storms occur. The paddock now requires careful management to ensure the improved grasses become well established and clover and sub clover species germinate. That means minimal grazing. 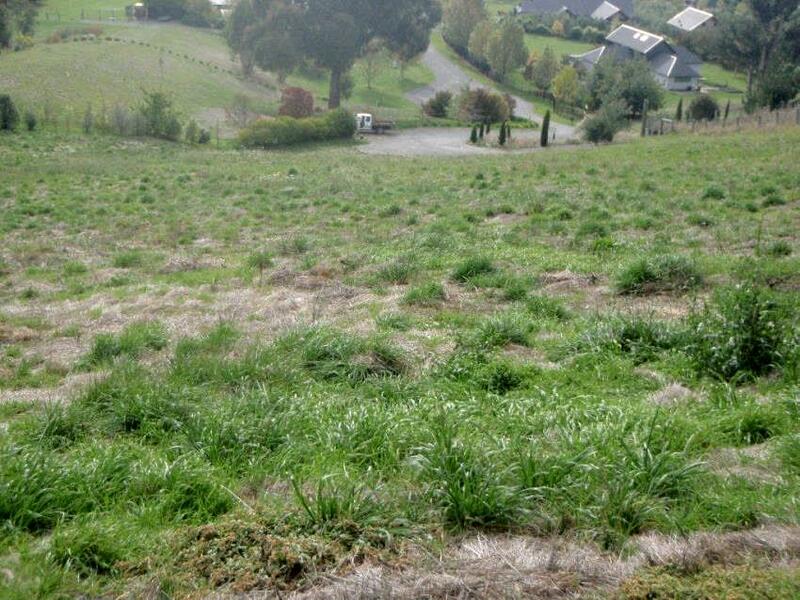 This infestation of Chilean needle grass was sprayed at 3L/ha 10 months earlier. The CNG is dead and the other improved grasses are recovering and growing through the CNG. Information on the permit for TASKFORCE® Herbicide can be found online at the Australian Pesticides and Veterinary Medicines Authority. Adelaide Rural Salvage - Avoid! If you are planning on dealing with Adelaide Rural Salvage just have a look at some photos of new and recycled timber purchased by us for our new shearing shed. Beware.